The European Procurement & Public Private Partnership Law Review greets 2019 with its first issue, bringing insights into the major topics of the field. Our expert authors tackle Risk Assessment in Public Contracts, the adoption of corporate Integrity Pacts, the Role of Civil Society in public spending, the first part of a comprehensive analysis of the Implementation of e-Procurement in Portugal, and an overview of the regime of Sanctions to Misconduct in Azerbaijan related to procurement procedures. We also include a report on the latest developments from Slovakia. EPPPL is a blind peer-reviewed international academic journal that publishes original academic articles, research papers and contributions on contemporary legal and policy developments in European Union and International Public Procurement and Public Private Partnerships. All manuscripts will be subject to blind peer-review prior to publication and are required to conform to the author guidelines. 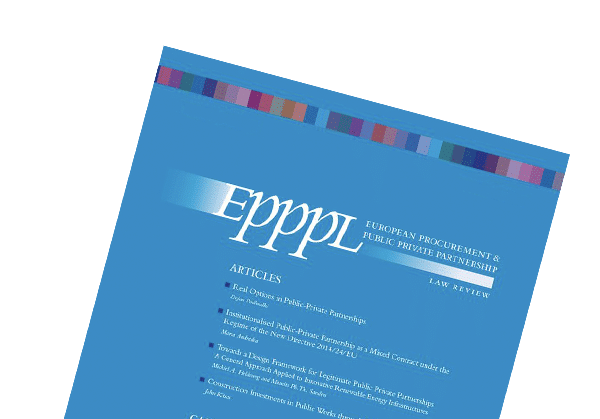 Since 2006 EPPPL has been growing into the leading platform for academics, policy-makers and practitioners across Europe and beyond to share and sharpen their expertise in Public Procurement and Public Private Partnership law. Thanks to EPPPL’s diverse editorial board and country correspondents as well as expert authors handpicked upon the quality of their contributions, the law journal is able to offer insightful legal analysis, concise and informative reports and guidance to finding workable solutions in matters related to Public Procurement and Public-Private Partnerships. Christopher R. Yukins, George Washington University Law School, Washington, D.C. The latest issue of the European Procurement & Public Private Partnership Law Review brings detailed analysis of law and policy matters from Europe and beyond. This number features the Integration of Defence Procurement in the EU, the question of Abnormaly Low Tenders and State aid, an exploration of the issue of Reservation of Public Contracts for social purposes, Access to Review by an Excluded Tenderer, the Belgian landscape of Procurement and Concession Law, the interplay between the UN Sustainable Development Goals and PPPs in the Ukraine, as well as insights into Nigerian Procurement of Infrastructure Projects and the PP Legal Framework in that country. We also have annotations on the recent judgment of the CJEU’s General Court in T-292/15 Vakakis kai Synergates v Commission, and reports on the latest developments in Switzerland. View all articles of EPPPL 4/2018. The new issue of EPPPL is out, with high-level discussions on the most pressing topics of the field. The use of social and environmental clauses in PP are extensively examined in our articles dealing with Human Rights in Public Procurement and Non-legal Barriers to Sustainable Public Procurement in Poland, a country whose In-house Procurement laws and practices and their impact on competition law are critically analysed. The developing concept of Smart Cities also gets a close look, and we learn about the thriving landscape of Public Private Partnerships in South Africa. We also have annotations on two PP-relevant recent judgments of the CJEU in TenderNed (T-138/15) and MA.T.I SUD (C‑523/16 and C‑536/16), and reports on the latest developments in Denmark and Serbia. View all articles of EPPPL 3/2018. EPPPL 2/2018 sheds light on remarkable national procurement and PPP systems in an international comparative perspective. Read about the German Register of Competition, the post-Brexit procurement system in the UK, and convergences and divergences of the Europtunnel and Lombardy case. In addition, learn about the respective regulations in the EU vicinity such as the legal framework for Serbian PPPs as well as the frictional coexistence of preferential procurement under bilateral “Tied Aid” agreements and the principle of non-discrimination under EU Stabilization and Association Agreements in the case of Kosovo. On top of that, the summer issue offers insights into best practices from Nigeria boosting investments into PPPS through better risk mitigation risks. At last, country reports from the Cayman Islands as well as Cyprus put in a nutshell recent relevant national developments. View all articles of EPPPL 2/2018. The first issue of EPPPL in 2018 is now available. Read about the current policies and best practices recommended and adopted by the EU, US and World Bank in terms of self-cleaning, leniency, bid-rigging, debarment, voluntary and mandatory disclosure and more. In addition, learn all about the French “Big Bang Reform” altering the previously existing PPP regime; and the Croatian reform reinforcing the national procurement system. On top of that, EPPPL 1/2018 offers insightful reports on important national developments from Cyprus, Hungary, Italy, Lithuania, the Netherlands, Portugal, Romania, Slovenia and the Ukraine.View all articles of EPPPL 1/2018. 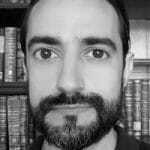 Spontaneous contributions are welcome and should be sent to the Executive Editor Caio Weber Abramo weber-abramo@lexxion.eu. Only submissions of excellent quality will be accepted in EPPPL. Responsibility of the factual accuracy of a paper rests entirely with the author. All publications must clearly distinguish themselves from the status quo of discussions – in particular through sufficiently broad publication footnoting and referencing – and provide an added value to those discussions. Contributions should not have been published, nor be pending publication elsewhere. After the manuscript is submitted, it will undergo a process of peer review for accuracy, quality and relevance. Submission of a manuscript does not imply claim for publication. Optionally before submitting a manuscript, the editors may be contacted regarding the suitability of a given topic for EPPPL.